Northgate Chrysler Dodge Jeep Ram is a full-service Dodge dealership in Cincinnati, Ohio with a stunning selection of affordable vehicles and a wide variety of cost-effective Dodge lease options. If you've had your eye on a new car but are worried about budget limitations, an auto lease may be the solution you need. With a smaller down payment and more control over your monthly rate, an auto lease grants you more financial stability and allows you to drive the newest model of your favorite vehicle without excessive cost. Particularly if you're someone who tends to drive fewer miles, and auto lease is an excellent way of saving money and making the most of your driving experience. Learn more today about our Dodge lease opportunities at our Dodge dealership in Cincinnati, OH! When you choose a Dodge lease from Northgate Chrysler Dodge Jeep Ram, you have the power to choose from any of the breathtaking vehicles available in our Dodge lineup. 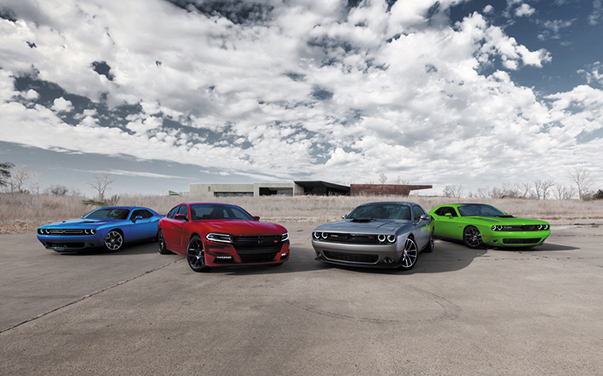 From the powerful Dodge Challenger to the bold Dodge Charger, our performance-oriented vehicles will blow you away. If you're a family-oriented driver, you'll love the spacious Dodge Grand Caravan and the versatile Dodge Durango. To explore our selection and to find out if a Dodge lease is right for you, just give us a call or visit today at our Cincinnati, OH Dodge dealership today! At our auto service center, we provide top-quality car financing services to help you focus less on budget strains and more on enjoying your driving experience. Our auto finance professionals have extensive connections and can work with your credit score in order to match you with an affordable means of driving your desired vehicle. From car loans to auto leases, Northgate Chrysler Dodge Jeep Ram has got you covered. Stop by today at our Dodge dealership in Cincinnati, OH to speak with a car financing professional and to learn more about our Dodge lease opportunities!